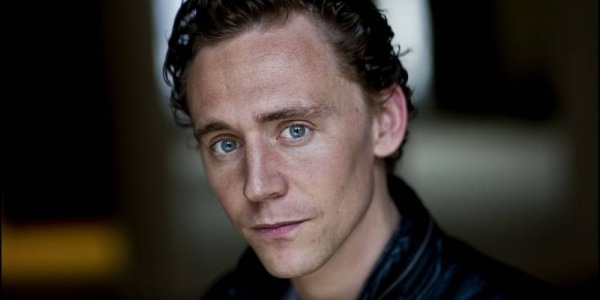 Tom Hiddleston Signs Up To Explore ‘Skull Island’!!! Legendary announced their plans to make a feature film based on the cinematic origins of King Kong during this year’s San Diego Comic Con. There have been King Kong stories that go so far back Faye Wray wouldn’t even be able to remember them all. It’s a story we’re all familiar with, but that doesn’t mean we will know what to expect from this film, especially when it’s based on the origins of the legendary, giant ape. Origin stories are really big right now and this one explores a topic we really haven’t been over inundated with. This has me looking forward to the film knowing nothing more than this info, right now. Now I know that Tom Hiddleston is attached to star in the film I’m in. 100%. No more questions from me, I’ll gladly pay my $12 to sit front and center, opening day. He’s an actor that has gained so much momentum in such a short time, he actually might be leading a comet trail behind. We loved him as the gloriously evil Loki in ‘The Avengers‘ movie, he was in ‘War Horse‘, ‘Midnight in Paris‘ and the list just keeps getting better now that he’s agreed to star in the ‘Ben-Hur‘ remake. They’re working from an original draft of the script penned by Max Borenstein. The writer is fairly new to the game, but is involved in some capacity with what will surely be some big hits. This year’s ‘Godzilla‘, ‘Seventh Son‘ and ‘Skull Island‘. We’ve had other King Kong flicks that barely skimmed the surface of the island, but there is still so much that can be explored. It’s an intriguing island of mystery and danger that filmmakers can take audiences deeper into Skull Island with a scope that has been unequaled by any other film featuring the island. Skull Island is more than just a backdrop for the action, the island should be featured as a living, breathing and unequaled character in the film. The film is set to drop on November 4, 2016. Joe Cornish is directing the thriller, his former credits include ‘Attack The Block‘ and ‘Section 6‘ which is also in pre-production stage. ‘Godzilla’ Sequels Have Their Release Dates Updated!!! This entry was posted on Wednesday, September 17th, 2014 at 6:08 pm	and is filed under Film, News. You can follow any responses to this entry through the RSS 2.0 feed. You can skip to the end and leave a response. Pinging is currently not allowed. « Interview with Dan Stevens, Adam Wingard, and Simon Barrett on ‘The Guest’!! If you really are a member of the Manchester United Fan Club, sing the Manchester United song. [slams a beer bottle on the floor] Sing! [Immediately begins singing] My baby takes the mornin' train. / He works from nine to five and then, / he takes another home again to find me... watching the Manchester United Football Team! Ah? The best freakin' team in all the land! Woo hoo!